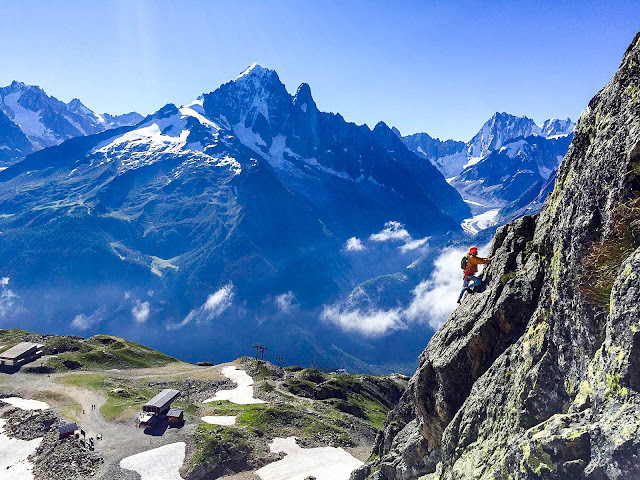 About this last time last year, my husband Steve and I began planning an epic, albeit ambitious, trip: two weeks in France and Switzerland, with objectives to climb Mont Blanc, the Matterhorn, and the Eiger (plus Mönch and Jungfrau, why not, while we were in the area!). 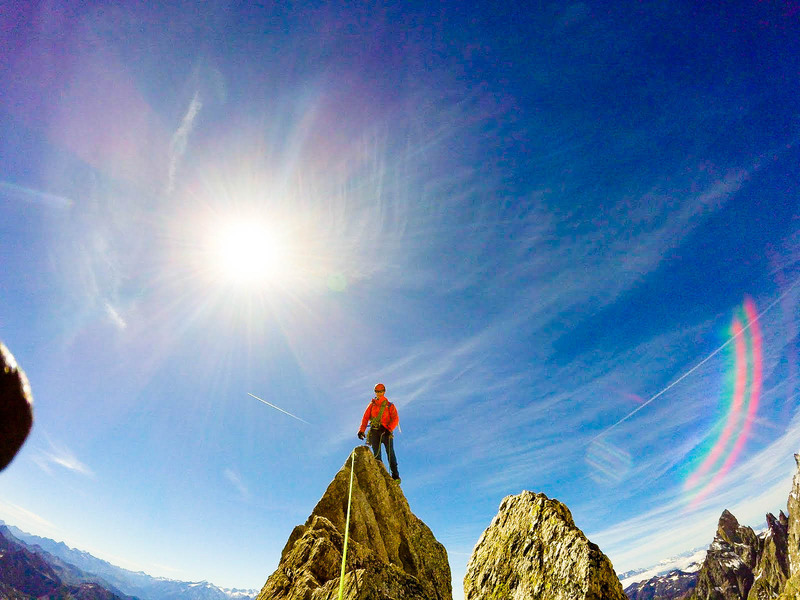 We had been training together with the Mountain Tactical Institute's "Alpine Rock Climbing Training Program," and we were feeling good, strong, ready! Those weighted step-ups, sandbag get-ups and DW Specials were worth the suffering! The whole plan was sketched out, including a backup climbing order if the weather didn't line up, I had all of the phone numbers to begin reserving space in the mountain huts... and then... we found out I was pregnant. We had been trying for this, but we pictured many more months of trying ahead. 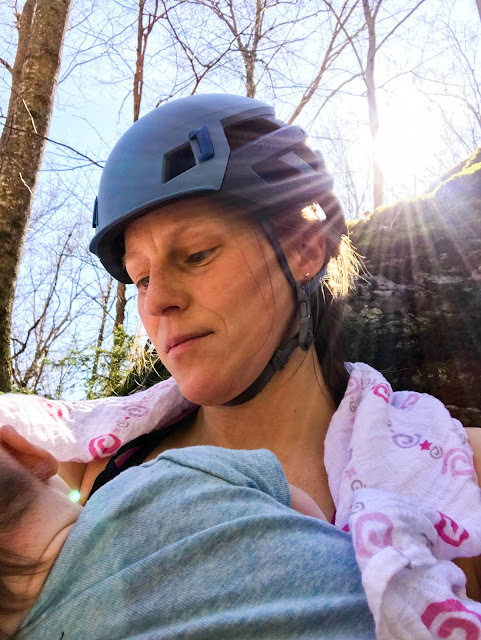 Not wanting to just give up the trip completely, I talked with my doctor, other climbing mothers, friends in the medical field, and searched the internet to find out to what elevation I could safely climb during early pregnancy. Unfortunately I couldn't find much research, as taking pregnant women to altitude and conducting tests can't be done ethically! 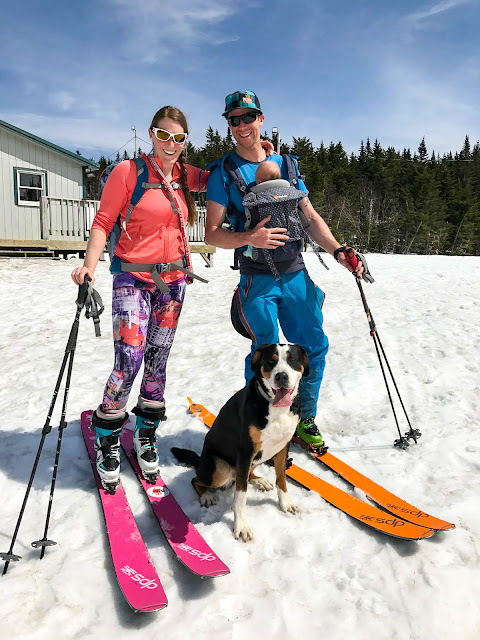 Several websites concurred that, "Many women in all stages of pregnancy can safely hike at moderate altitudes of 5,000 feet or less with little risk of complications." Yikes! The last thing I wanted to do was put my pregnancy in jeopardy, but also... The Alps!... It was a hard fact to accept that sleeping at 12,000' and climbing to 15,000' probably wasn't wise. I convinced Steve that we would rent a car and only make a plan for the first two days, winging it after that based on weather and how I felt. He was very uncomfortable with this at first as he likes an organized plan, but now he tells the story like it was his idea :) The flexibility of the non-plan let us start our trip in Grindelwald, Switzerland, then bounce between Chamonix, France and Courmayeur, Italy, chasing the good weather. While we missed out on climbing the big classic peaks, I was happy to do more rock climbing in the sun! I ended up feeling great after the first day of grueling travel + "morning" sickness (= all day nausea), although a little out of breath at 12,000'. 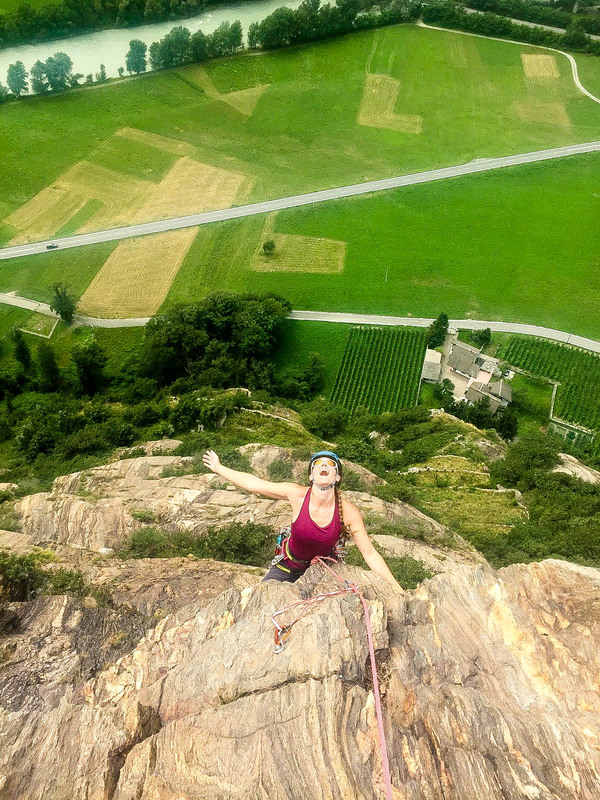 The physical movement of climbing still felt good, but the mental side of not wanting to take a whipper resulted in more following than leading. It took some time to come to terms with the fact that it was okay to slow down. I was fortunate to be able to stay active during my entire pregnancy, ski touring until two weeks before going into labor. 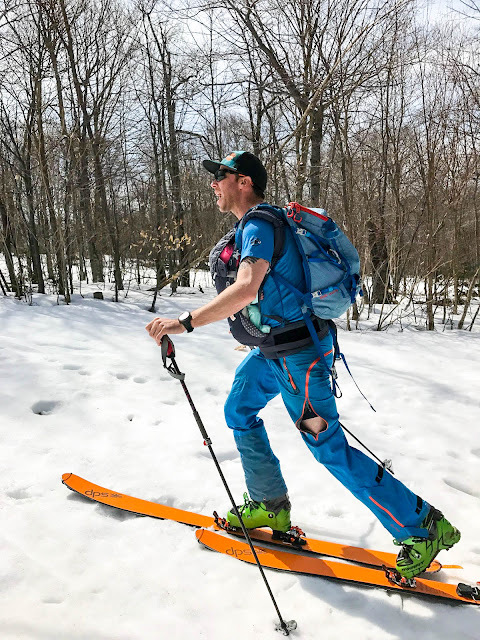 Had conditions been better, I might have skied the day before. I'm sure this level of activity helped with recovery- I gave myself two solid weeks of rest, then eased back into climbing at the gym. 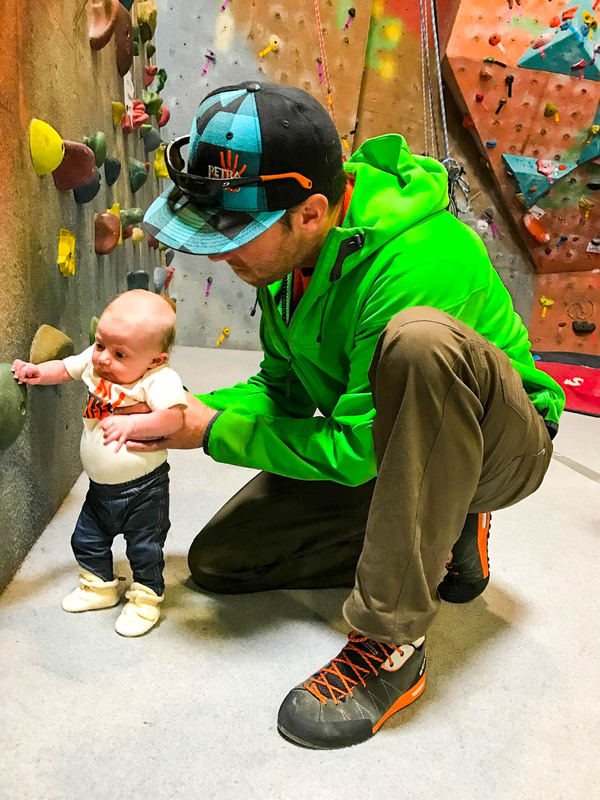 I'm excited to get back to training-- I'm anticipating that my level of risk acceptance is going to be lower now that I have a beautiful tiny human to take care of, but keeping up physical strength improves mental toughness. It feels good to be back! 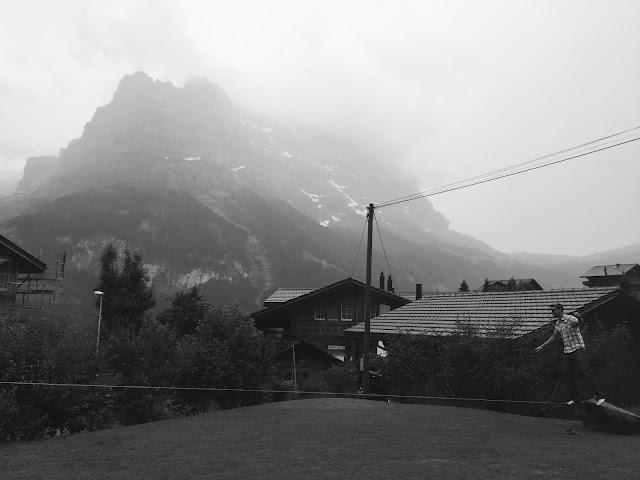 It turned out that the weather wouldn't have worked at the start of the trip for the Eiger anyway; it had been a heavy snow year and the Mittellegi Hut opened only two days before our arrival. A local guide told us it was "f**king cold up there." 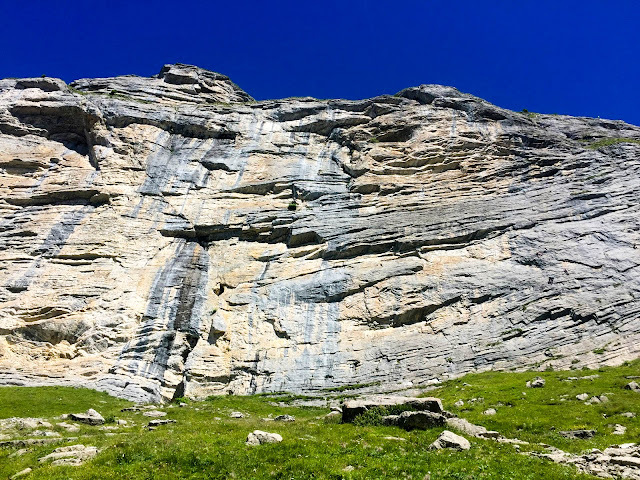 Sport climbing at Hintisberg, Switzerland! A sporty drive up, up, up to beautiful limestone, including the six pitch Blüemlipfad, 6a+. Heading out to the Aiguille d'Entrèves Traverse, Italy/France border. Steve along the Traverse, feeling on top of the world. We tried to find another climbing area but our GPS took us to the wrong side of the mountain and we ended up in Valgrisenche. 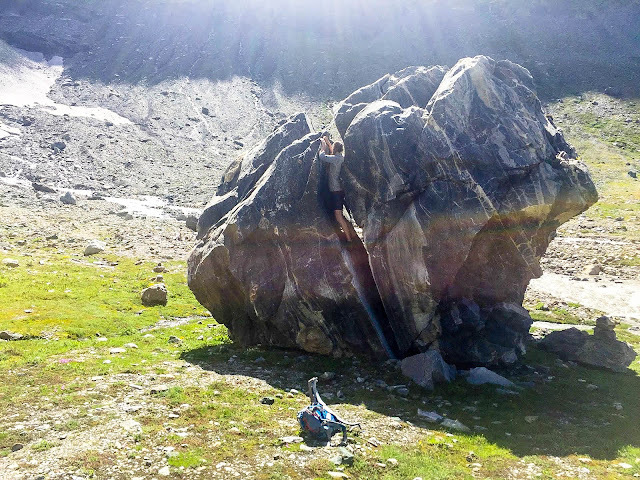 We went for a short 10 mile hike instead, out past the Rifugio Bezzi to some fun boulders! The weather in Chamonix deteriorated so we drove through the Mont Blanc Tunnel to Arnad, Italy in the Aosta Valley. We climbed at Corma di Machaby, an incredible 250m of gneiss slab, face and bolted (!) 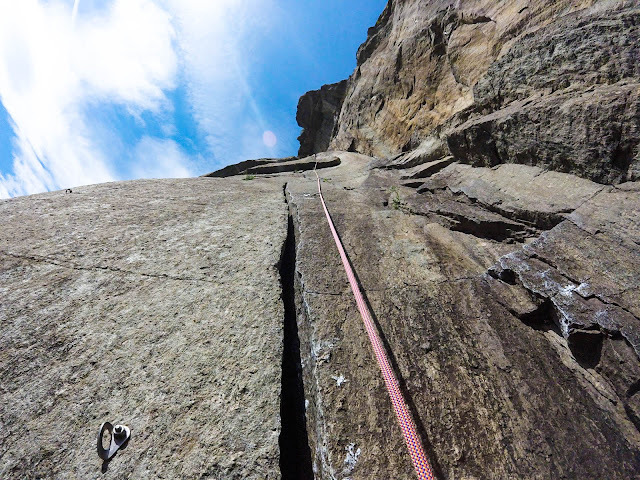 crack climbing in the Aosta Valley. Machaby became one of our favorite areas and we visited again on the last day of our trip. The walk-off descent takes you past military ruins and a preserved fort that serves espresso and ice cream! 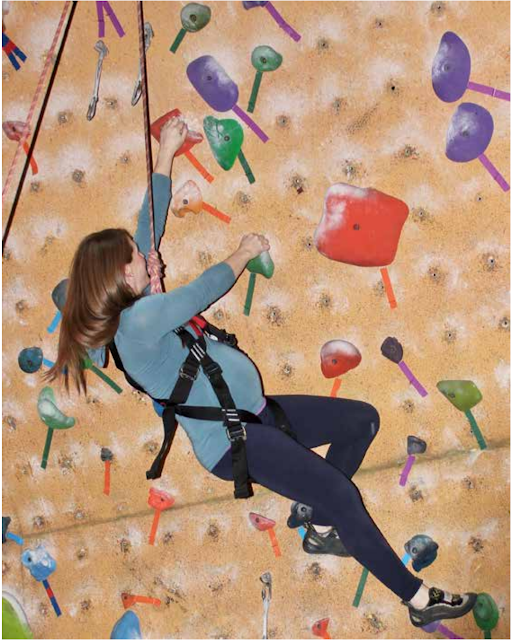 A climber is born. McKinley Jeanne Charest, born February 26, 6 lbs 12 oz, 21"
Her favorite rope is the Mammut Revelation 9.2! Dad is pretty psyched to be introducing McKinley to his favorite thing in the world. 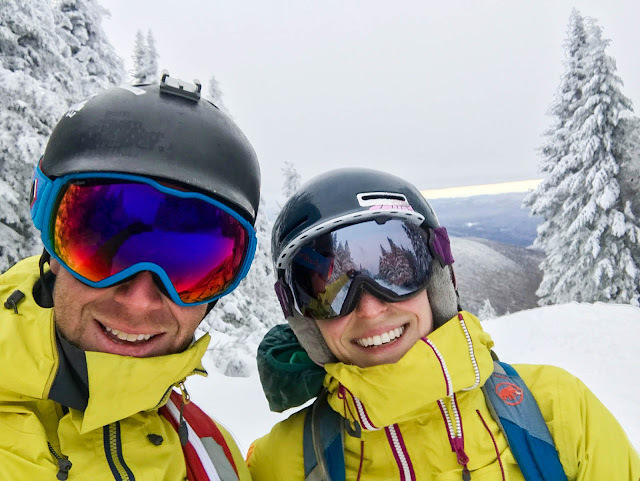 Vermont resorts closed and the snow was still in excellent condition. McKinley got to ski at 7 weeks old! Introduction to her family business at Petra Cliffs Climbing Center & Mountaineering School. 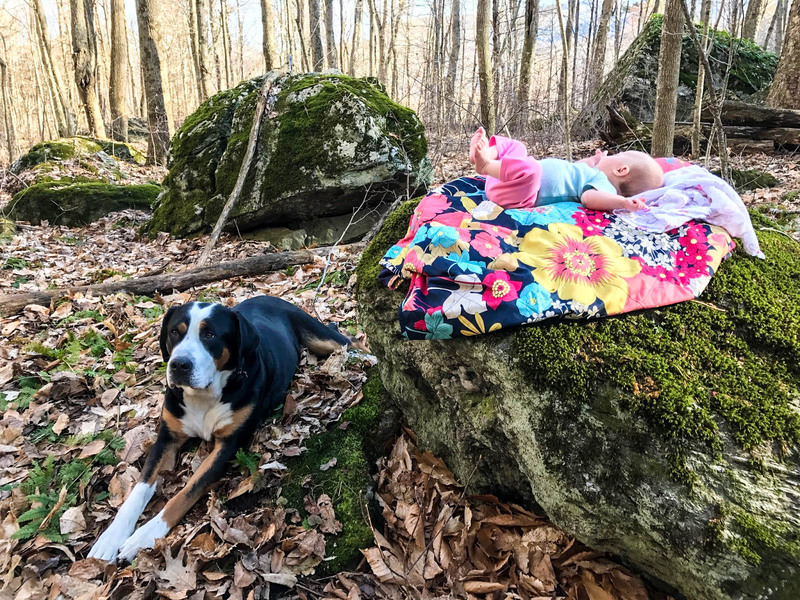 Alpine Nursing. The proposed AN scale goes from 0 to 2, depending on length of approach, view, comfort of seat, and the proximity to the cliff to maintain heckling ;) Here in the woods, the Mammut Wall Rider helmet is more for shade than protection! And mom was psyched and ready to climb between feedings! McKinley and her trusty sidekick Skadi, a Greater Swiss Mountain Dog. To many more adventures ahead!